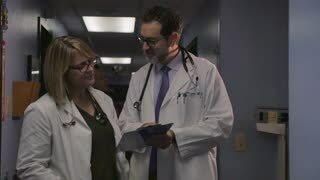 Search Results for "busy hospital hallway"
Team of Doctors, Surgeons and Nurses Walk Through Busy Hospital Hallway, They Talk about Patients, Forthcoming Surgeries and Saving Lives. Clean Modern Hospital with Professional Staff. Shot on RED EPIC-W 8K Helium Cinema Camera. Back View Shot of Team of Doctors, Surgeons and Nurses Walk Through Busy Hospital Hallway, They Talk about Patients, Forthcoming Surgeries and Saving Lives. Clean Modern Hospital with Professional Staff. Shot on RED EPIC-W 8K Helium Cinema Camera. Busy Hospital Hallway. Medical Personnel, Doctors, Nurses, Surgeons Walking, Patients Waiting their Turn. Modern Medical Facility. Shot on RED EPIC-W 8K Helium Cinema Camera. Busy Hallway of the Modern Hospital Building, Staff Members Walking, Working. Professional Nurses, Doctors and Personnel Hurry about their Day. Shot on RED EPIC-W 8K Helium Cinema Camera. In the Hospital Hallway, Nurse Pushes Senior Man in the Wheelchair, Patients wait for their Doctor, Busy Professional Personnel Walking. Clean, New Hospital with Professional Medical Staff. Shot on RED EPIC-W 8K Helium Cinema Camera. 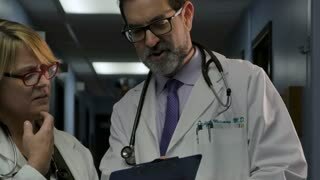 In the Hospital, Busy Doctors Talk, Using Tablet Computer While Standing in the Hallway. New Modern Fully Functional Medical Facility. Shot on RED EPIC-W 8K Helium Cinema Camera. A man walking in a clinic hall. 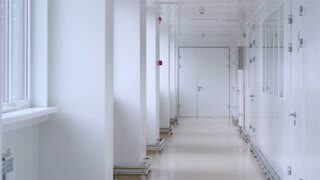 Person in doctor uniform walks in a hospital building. In the Lobby of the Hospital Three Professional Doctor Have Discussion while Sitting. They Use Tablet Computer. Busy Modern Hospital with Best Specialists and Medicare in Country. Shot on RED EPIC-W 8K Helium Cinema Camera. In the Hospital, Busy Doctors Talk, Using Tablet Computer While Walking Through the Building. In the Background Patient Talks with Receptionist. New Modern Fully Functional Medical Facility. Shot on RED EPIC-W 8K Helium Cinema Camera. In the Hospital Following Shot of the Young Couple Holding Hands and Walking Towards Reception. Modern, Busy Hospital Facility. Shot on RED EPIC-W 8K Helium Cinema Camera. 4K Doctor & nurse having a discussion in busy hospital corridor. Blurred image of unidentified people, patient and staff passing from side to side in hospital hallway. view from inside hospital patient room.